Caledonia has a dedicated Benefits Advice Service to provide all residents with benefits advice and assistance with claims. Our handy calculators below can help you quickly calculate your benefits and work out if you are affected by under occupancy and the benefits cap. 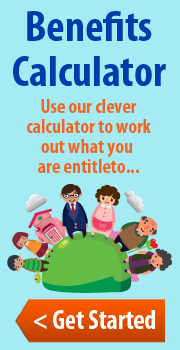 Click on either link below to see what you are entitled to. We know that a number of our tenants rely on welfare benefits to help with their rent payments and the general cost of living. We also know that some don’t receive all they are entitled to; or face difficulties when making a claim. The benefits system is also very complex. A Financial Health Check can be carried out and advice can be provided to ensure you are receiving the maximum income to which you are entitled and assistant can be provided in completing a claim for benefits including: job Seekers Allowance, Income Support, Employment & Support Allowance, Tax Credits, Disability Living Allowance, Attendance Allowance and Housing & Council Tax Benefit. We also offer advice and assistance on debt, budgeting, home contents insurance and opening bank accounts/Credit Union accounts. The service is provided FREE, confidential, impartial and non-judgemental. For any issues contact the Customer Service Team on 0800 678 1228 who can refer you to the Benefits Advice Service. Or to contact them directly please use their email addresses below. You can also download our helpful Changes to your Housing Benefit leaflet, Our Benfits Advice Service leaflet and visit our dedicated Welfare Reform information page.